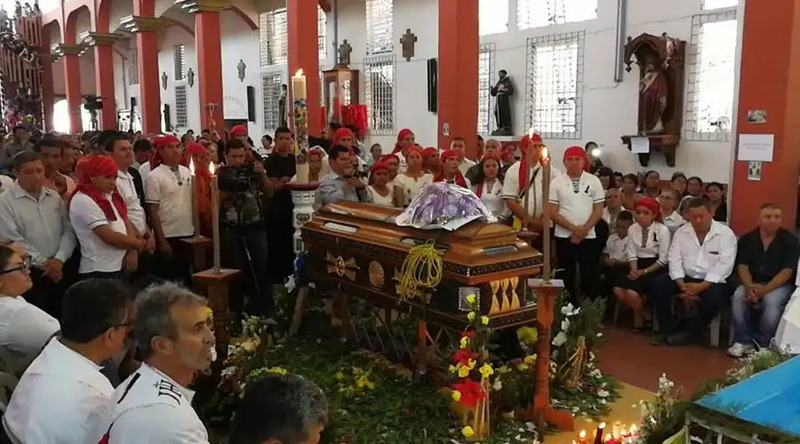 A priest was executed by a gang in El Salvador on Holy Thursday, the feast of the priesthood and Eucharist, while he was on his way home from the Chrism Mass. In Pakistan, four members of a family were executed by Islamists in front of the family home in Quetta on Easter Monday. An ISIS statement said that “Christian combatants” were targeted. They did not say that they were civilians sitting in a rickshaw – how brave the ISIS attackers were to shoot four unarmed adults and a little girl. And how afraid the Salvadoran gangs must be of the Catholic Church’s priests who stand for justice and peace, to gun one down on Holy Thursday! San Salvador, El Salvador, Apr 3, 2018 / 05:00 pm (CNA/EWTN News).- Fr. 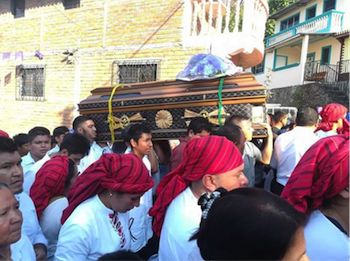 Walter Osmir Vásquez Jiménez was shot and killed the afternoon of March 29, Holy Thursday, on a dirt road outside of the town of Lolotique, El Salvador, as he was on his way to celebrate Mass. The Archdiocese of San Salvador released a statement expressing “its sorrow over the murder of Fr. Walter Vásquez. We express our solidarity with the Diocese of Santiago de María and his relatives. We urge the appropriate authorities to determine the facts,” they added. Although the motive for the killing is unknown, l’Avvenire reported that the victim exercised his ministry in a violent area of the country where the gangs extort businesses and the priests often try to provide protection for the inhabitants. They also support young men who do not want to join the gangs. “We’re on the front lines, every day we wonder when they’re going to shoot us, and we’re surprised they still haven’t done it,” said a priest whose name was withheld for security reasons. This article is a CNA translation and adaption of stories originally published by our sister agency, ACI Prensa. Quetta (Agenzia Fides) – “It is sad to see that once again our people are attacked and killed on the occasion of one of our religious festivities. First the bomb at Christmas and now a massacre of the innocents at Easter. I am praying for the persons involved and I pray that God will convert the hearts of those responsible for such acts of terrorism”: Fides was told by Rev. 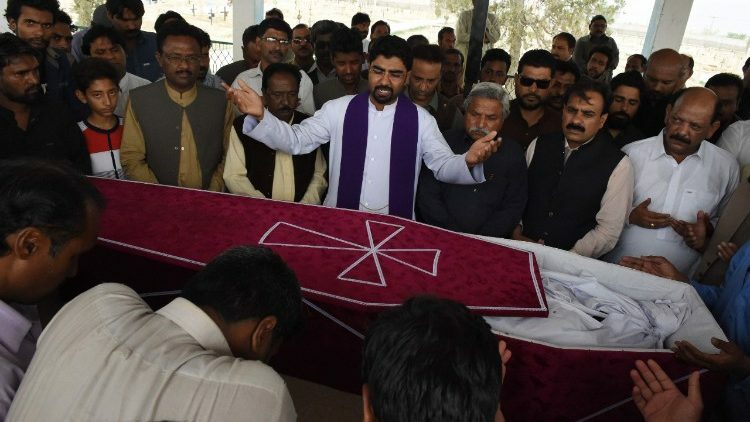 Wajid Michael, a Catholic priest who said Mass at the funeral of Pervaiz Masih, one of his parishioners killed in Quetta, capital of Beluchistan province, on Monday 2 April. Four men, all members of the same family, were shot dead in front of their home in Pervaiz Masih, Shah Zaman district, Quetta, and one young girl, the daughter of Pervaiz, was wounded. Three, all relations of Pervaiz, were from a village near Lahore, in Punjab, and the bodies were taken back for the funeral and burial. Pervaiz instead was buried in the Christian cemetery of Quetta. Rev. Wajid Michael tells Fides: “It is terrible to know that a family was massacred in front of the gate of the family home. The massacre occurred just as the family were preparing for an outing. Protection and safety for minorities has become an important issue for the government of Pakistan: all the different religious minorities Christians, Hindu, Shiite and also many Muslims sects face discrimination, violence and terrorism”, says the parish priest. Azeem, a local catechist says: “Most of the homes on that road belong to Christian families; the street is a dead end. The attackers opened fire and then turned back on the same road. The whole area is gripped by fear, and the other members of the family are in a state of shock. This is a grave loss for the family of Pervaiz Masih because he looked after them all and provided for them. The other three were relations visiting Quetta for the first time “. According to local information, the so-called Islamic State (DAESH) claimed responsibility for the attack but failed to provide to evidence. Other observers speak of the Tehreek-e-Taliban Pakistan terrorist group (TTP), active in the area. Moazzam Jah Ansari, a local police chief said: “This act of terrorism would appear to be a targeted attack”.